Delta Kits specialises in windshield repair equipment, glass repair, and supplies. Offering an extraordinary business opportunity with exceptionally high profits. Delta Kits Windshield Repair Systems come complete with everything necessary to achieve professional quality repairs. We do not add unnecessary pumps and hoses to our kits. The result is a product which is a cinch to use, uses less resin, and costs far less than other professional windshield repair systems. Delta Kits has been a premier windscreen repair supplier since 1984. Our technical UK Trainer has 22 years of actual field experience, so you can count on quick and accurate answers to any questions and concerns you may have about windscreen repair. Delta manufactures only the finest quality windscreen repair products and is constantly evaluating new technologies to keep our customers on the cutting edge. Our Premium Glass Repair Resin products were developed specifically for the windscreen repair industry and meet the most stringent tests for strength, clarity, cure time and longevity. They also carry the prestigious BS AU 242 1991 certification mark. 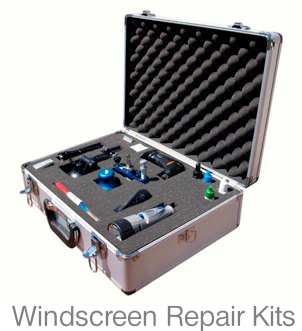 Delta Windscreen Repair Kits come complete with everything you need to achieve professional quality repairs. Because we do not add unnecessary bells and whistles, the Delta system is actually faster, uses less glass repair resin per repair and costs less than many other repair systems. 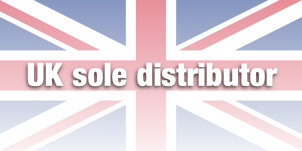 Focus Windscreen Repair is the UK sole distributor of the US made Delta Windscreen Repair Kit. We can say with confidence that the Delta Windscreen Repair Kit is the best quality, best value windscreen repair kit in the UK. With over 21 years of windscreen repair experience and worldwide recognition, leads us to believe we can and will offer you the best. Deltakits systems are in use in most countries of the world and Delta user’s have won all of the major awards for windscreen repair world wide. Thinking about starting a business in windscreen repair? why purchase a windscreen repair franchise and have someone else tell you what you can do, where you can trade and then charge you for the privilege? Delta Kits will not hold you to ransom, you have no obligation. You purchase a kit and trade where you like. If you like our products you can buy more, it is up to you. It's simple, we sell quality windscreen repair trade tools. What you sell, where you sell it and how much you sell it for, is your choice. Delta Kits Windscreen Repair Kits come complete with everything necessary to achieve professional quality windscreen repairs. Because we do not add unnecessary bells and whistles, the Delta Auto Glass Repair System is actually faster, uses less windscreen repair resin per repair and costs far less than other professional windscreen repair systems. Our training in the UK is carried out by one of the world’s most experienced windscreen repair technicians. He has given help and advice to thousands of people from around the world and won major awards from countries he has never even visited. Technical help is also available from 8am to 6pm from our phone helpline. 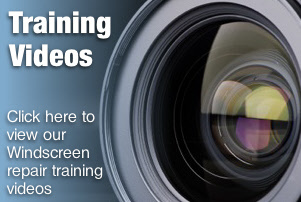 In training we cover all aspects of windscreen repair, every type and style of break and long crack repair, drying out, premature curing and sales skills, all covered in a precise and easy manner. Windshield repair systems, windscreen repair systems for chipped windscreens. Products and training available.